Believe it or not, I dreaded the number 30. No matter how optimistically I tried to face what I call the "BIG THREE OH", in my mind I couldn't erase the fact that I was turning 30. Another milestone in my life. The time where I had to say goodbye to my blissful twenty-something existence and face my brand new thirty-something chapters of my life. Yes oh how I dreaded my pending birthday last month! Honestly, Valentines day pa lang I was already dreading the small amount of time left on being 30. But I promised myself one thing--that I wouldn't be depressed on my birthday. Haha actually it became a fervent prayer. I told myself, that I am HAPPY and CONTENT. And I swore to myself that I will celebrate my birthday, enjoy my birthday, and be ecstatic about my birthday. I had so many things to be grateful for that I should focus on the positive things and not on the negative things! So here's a short list of my reflections and realizations on turning 30. 1. I don't feel like 30. Or "look" like 30. Hahaha. Take a look at this "baby face" and I dare you to think that I look 30. 29 lang diba? ahaha. I attribute this to my wonderful genes from my parents, my various beauty regimen, the "young" company I hang out with (at work, church, and other bloggers of course! ), and the positive resolve that I have. Because of this, turning 30 ain't that bad! 2. Birthday Blessings. Well believe it or not, I was very very surprised during my birthday, March 6. Besides my debut, this has got to be a birthday where I really felt loved and appreciated by my family, students, and friends. 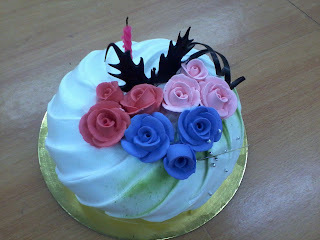 During the morning, my students surprised me by giving me a very pretty cake. I really felt touched! As a teacher, to be appreciated to such an extent by my students really warmed my heart. I've been teaching for 8 years already and it has always been my goal that I will be the best teacher that I can be -- not just as a teacher who imparts knowledge to students but as a teacher who imparts lessons in life as well. Thank you "Batch of Awesomeness". I will truly miss you as I teach another set of students next school year! Then that night, I had another grand surprise! My mom and dad gathered my friends from our church and surprised me with a birthday party. Haha. I was so shocked when I arrived because I didn't know that they had set it up more elaborately than what I had imagined. I knew I was going to celebrate my birthday with some friends but not as bonngga as this. Many thanks to my Mom, Dad, & Tita Zeny for cooking this up, thanks to Alpha for coming up with an impromptu program that made things more fun, thanks to my cousin Shopgirl JEN for being the "emcee". Thanks Ate Jen.. talagang unforgettable ang speech mo! Natouch din ako! hihihi! Also thanks to everyone who went there and made the day more memorable! My sister even made a powerpoint presentation on my life so far based on photos from my FB. haha. Lav it! Thanks guys! Hearing those words of support, affirmation, and appreciation really made my day. It helped my resolve that day that I will rejoice and be happy on my birthday. You guys have no idea how truly touched I was.. and I thank God for the friendship. Thanks for making my birthday soooo grand! 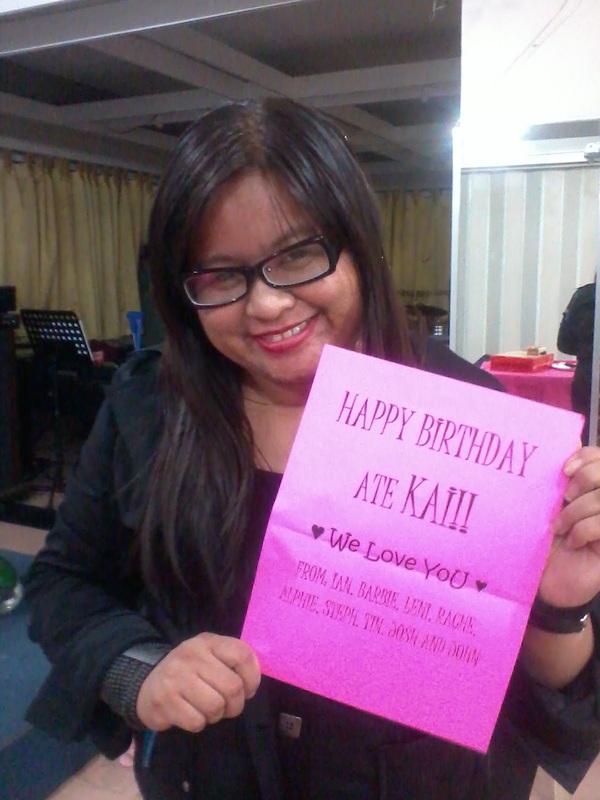 Some of the gifts that I got during my Surprise Birthday Celebration. Thank you so much dears! Mwahhhh! 3. Setting new goals and aiming to achieve them. One of the things that I resolved to myself was that I will set new goals for myself with this brand new chapter in my life. Setting goals for oneself is not bad but in fact it helps give you direction. With the right goals, you can even become more successful and have a sense of fulfillment in your life. I know this coz I have set goals for myself in the past decade and achieving those goals made me feel accomplished and gave me joy and fulfillment seeing its completion. So here are some of my goals that I would like to accomplish in this 30s stage of my life! Be more health conscious = meaning lose weight. hehehe. no explanation needed! Travel more! Not only in the Philippines but in Asia and abroad as well! Target = Hong Kong, Singapore, Japan, Korea, Thailand, Canada, and USA! Honestly this year, I really had a goal for myself that I will get a new laptop, new camera, and a new cellphone. 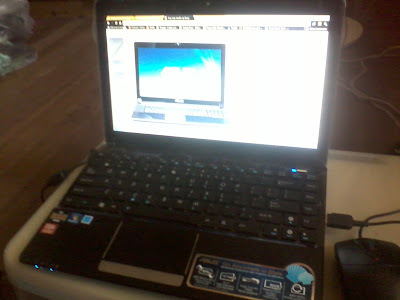 Last April 1 I was finally able to purchase a brand new laptop and I'm using it right now! Yay! Its my grand birthday gift to myself this year. :) My brother helped pick it out for me (coz I'm not really that good about the specs and stuff) and he recommended ASUS N1215B with the budget that I had in mind. Since I wanted a laptop/netbook that would mainly be used for blogging, internet surfing, work related stuff, he said that this would be perfect. I've been using my laptop, "Amethyst" (yes I did mention before I name inanimate objects that belong to me) for more than 15 days have no complaints! I love the fact that its lightweight, its 12.1 inches LED Screen, AMD dual core, and has Windows 7 Home Basic already. Yay! Now all I just need to buy is an external ODD and a good antivirus to protect my PC and I'm alllll good! Right now I'm using Avira Internet Security 2012 - its free 3 month net security that I got during the Blogapalooza last year. So that just means I need to save up again to buy me a good internet security in the next 3 months. Coffeeholics, what do you think I should get? Do you use free net security or paid? What do you have? Another MUST that I need to get this year is a brand new camera. A good blogger must never be without a camera! 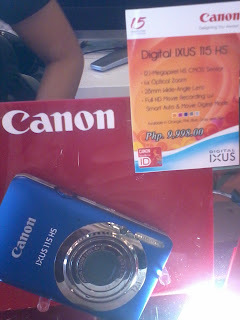 Right now I really don't have my own cam coz I'm just borrowing it from my dad. BUT I have plans of also getting a brand new Canon Camera or Samsung Camera for myself this year. What do you think I should get? 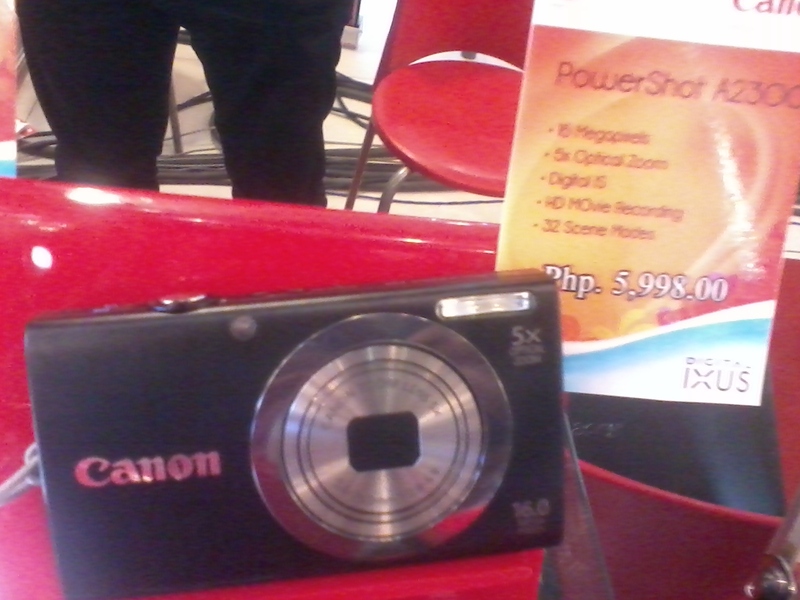 I've been checking out cams and Canon Powershot cams have caught my interest. And its even within my budget! What do you guys think? 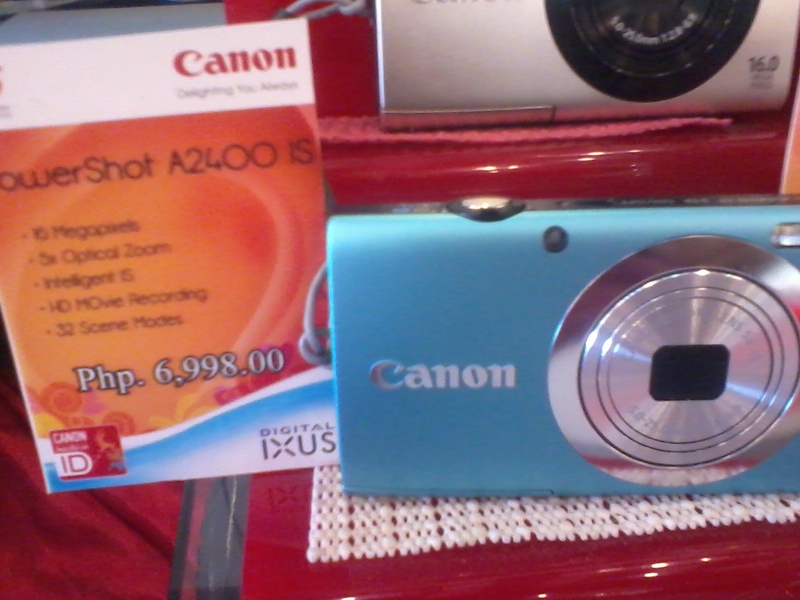 This is what I really want but its a bit above my budget! And of course a new cellphone is on my wishlist this year. I really want to upgrade my current android phone. I'm using a Samsung Galaxy 5, one of the first few android phones that came out around 2010 that was a bit affordable more than Samsung Galaxy S. Now its out of circulation coz its using a super old version of android. And I really want a new one coz I can't install instagram on my current celphone. hehe. So I have my eyes set on the newer edition of Samsung Galaxy Ace or Samsung Galaxy Wonder. Haha. So yeah that's my wishlist or goals for this year. A girl can wish right? Anyway, after saying all of that, I realize a lot to do if I want to achieve all these goals right? Haha. Of course blogging has really brought a new perspective in my life which I really am happy and grateful for. I'm definitely looking forward to a more exciting year in my blogging and freelance writing career many thanks to you all my lovely readers! Because of that, I owe you guys a giveaway! Abangan ang susunod na post! And if you read all of this, I really appreciate it! It makes me want to make my writing more vivid and interesting for you guys. So when you join my giveaway, mention my laptop's name and you get an additional entry. Keep that in mind ok? Hehe! Anyway, Coffeeholics, don't forget if you have any recommendations on what antivirus or camera I should get, do share share share! Have a happy weekend! Mwah mwah!